Children love pretending to cook as well as cooking with Mum and Dad. 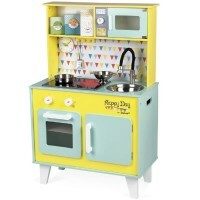 What could be more fun than watching children play in their own wooden toy kitchens? Our wooden kitchen sets, complete with wooden cooking utensils and play food will give kids the chance to indulge their imaginations (and taste buds!) as they set about creating a delightful menu for family and friends. These toys are ideal for playing alone or with friends and will help with coordination as well as providing hours of fun. 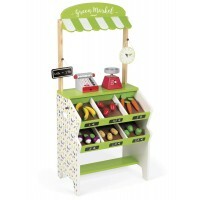 Also check out our range of play food and start cooking! 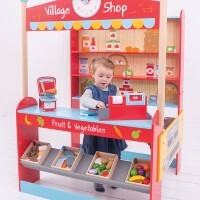 Children also enjoy playing shop and we would love to help them along with our fantastic play shops. 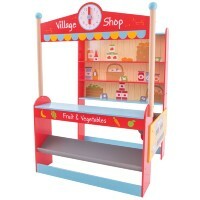 We have plenty of items to fill our table top play shops and full size wooden play shops. 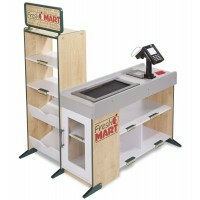 How about some weighing scales or a cash register? 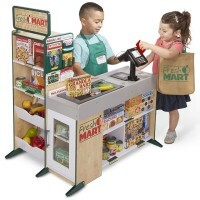 Entrepreneurs in the making will spend hours setting up shop, bagging up groceries and having fun with customers and colleagues.